The Control of Substances Hazardous to Health (COSHH) regulates the use of chemicals and other substances that are considered dangerous to people’s health. COSHH regulations require employers to control those substances that can cause serious injury or illness and work to prevent workers exposure. COSHH regulations include providing risk assessment to find out what the hazards are providing control measures and suitable training and information to reduce health risks, planning for emergencies and continuing to monitor and maintain measures are kept in place. Understanding the requirements of COSHH regulations can seem daunting for some so we cover the principles in the free COSHH and Air Sampling seminar and a more in-depth look at risk assessments, air sampling and COSHH Regulations in the 3 day training course. For larger companies or those just starting new COSHH risk assessment we can also help with a health and safety consultancy. A range of dust and vapour monitoring equipment to measure particulates with a choice of kit including 1 or 5 pumps designed as the ideal choice for air sampling. Air sampling kits capture contaminants through a filter medium and a concentration level compared to the volume of air gives a value of the contaminant level. We can provide the level meters for air sampling and the required filter papers or sorbent tubes for your measurements. Contact Us now with the information about which chemicals you wish to measure. The Sidekick Constant Flow Pump contain a constant flow pump with excellent reliability and features for air sampling. The Sidekick comes with a choice of either dust or vapour measuring models in either a single pump kit or 5 pump kits. Three different ranges of Sidekick also allow a choice to suit any budget or requirement. 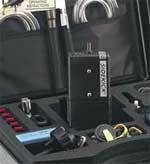 A combined Sidekick Deluxe model for dust and vapour monitoring is also available to buy or hire from CastleRent. 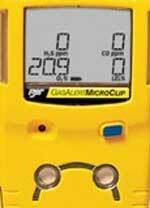 The Air Check 2000 is a programmable air sample pump for respirable dust monitoring. The AirCheck has a choice of single or kit of 5 pumps and can be bought for dust or vapour measurements or as a combined dust and vapour kit. The Pocket Pump is an advanced low flow meter with a great accuracy and ideal for time weighted averaging (TWA) and short term exposure limit (STEL) measurements. This compact and light meter comes in a tough case and is very easy to use. Calibration devices, bubble flow meter and rotameters are also available. We have a range of portable gas detectors designed to suit different working environments, potential gas levels and changing work processes. Gas detectors are available to measure a range of different gases, whether for a single gas or multiple gas levels. With single gas monitors and multi-gas monitors, contact us with the gases you wish to measure as each machine is configured to measure required gases at sale. The Gas Alert range of meters is varied to suit measurement requirements and budget. Gas Alert Extreme is a single gas monitor designed for ease of use with replaceable sensor and long battery life. Gas Alert Clip Extreme are single gas monitors designed to be used continuously for 2 or 3 years. 2 year models measure H2S, CO, O2 or SO2 while the 3 year model measures H2S or CO.
Gas Alert Micro 5 series of detectors can measure up to 5 gas hazards and is easy to use enabling the user to configure a detector to suit specific applications with a choice of diffusion or pump operation and data logging capability. Gas Alert Micro 5 IR uses a non-dispersive infrared sensor to monitor carbon dioxide levels while also monitoring up to 4 additional gases. Gas Alert Micro 5 PID features a humidity resistant photo-ionisation detector (PID) sensor that can detect volatile organic compounds and up to 4 additional gases. Gas Alert Quattro is a compact multi-gas detector designed for ease of use and capable of measuring up to 4 different gasses.